April is full to the brim with events in Cornwall. Discover our diary round-up here – from foodie festivals and folk music, to gardens and Easter treats, there’s something for all the family to enjoy. 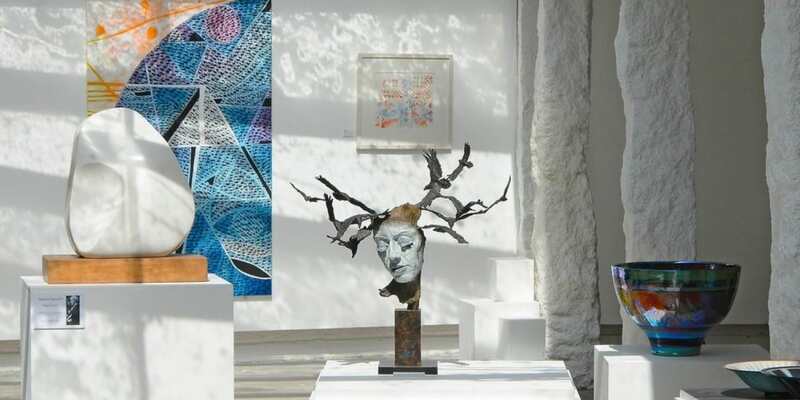 The St Ives art scene is bursting with Cornwall’s creatives, with no exception at the St Ives ‘School of Painting’ Young Artists exhibition. Held in Penwith Gallery, the show will culminate with a celebration of young artists. Prizes will be rewarded to the winners that have been voted by the public. More than a hundred 13-18 year olds have applied who were encouraged to challenge ideas of drawing and painting. 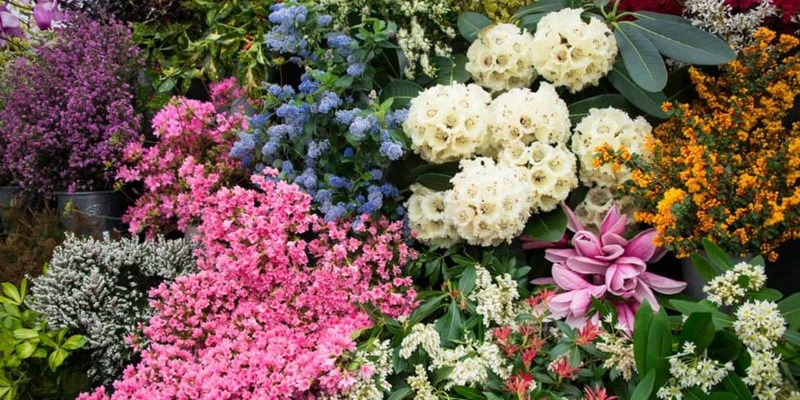 Bringing together stunning floral displays, exhibits will be showcasing their beautiful floral art and photography, as well as entering the county’s finest floral specimens to compete for the winning position. With various stalls from all across the UK, there are not many places where a gardener can go to get such a fantastic offering. 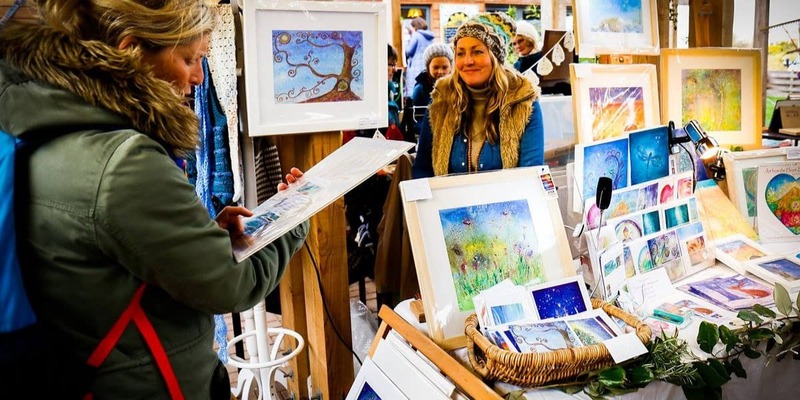 Explore stalls selling a breath-taking range from jewellery, pottery, skincare, clothing, plants, music, books, and so much more at the very first ‘Roots Culture’ vegan market. Sample delights from local food vendors specialising in vegan street food, whilst listening to the Tropical Pressure Sound System, transporting you to far off tropical lands. 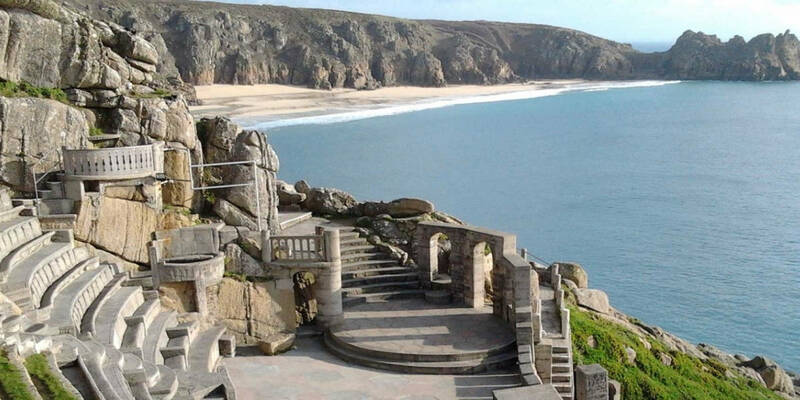 Looking for a fun-packed day out in Cornwall this Easter? 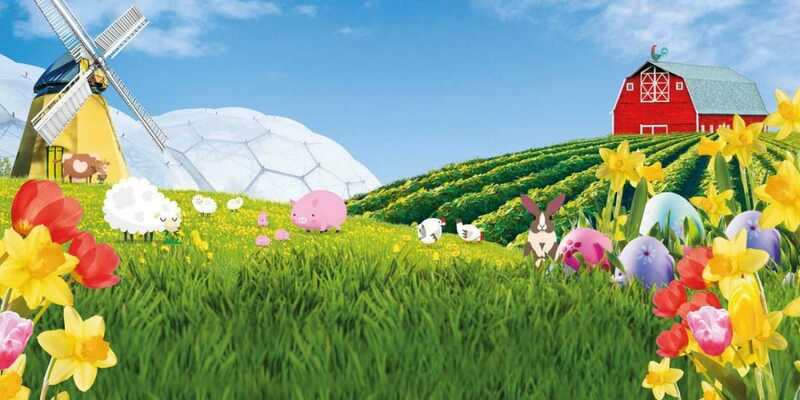 Head over to the Eden Project, where their farm-themed Easter event is sure to be a hit. With lots of indoor and outdoor games and activities, join in on the giant scramble course or tuck into some special chocolate treats. As well as this, you’ll even be given the chance to collect stamps to fill up your card and exchange them for some cracking prizes! Performed on Cornwall’s world famous stage, experience this most enchanting story, loved by all. Life for the spoilt, young Mary Lennox is thrown into chaos by a cruel twist of fate. Orphaned and alone, she is sent to England to live with her distant uncle in Misselthwaite Manor. Angry and lost, Mary finds herself slowly becoming entranced by the house and its grounds, her curiosity leads her to find friendships hidden in unexpected places that will transform her life and those around her forever. Most importantly, ‘The Secret Garden’ cast includes a host of Cornish acting talent alongside members of the Minack Youth Theatre. Where: right on our doorstep! The Greenbank team is working alongside Sharp’s Brewery for our bi-annual beach clean this April. Sponsored by Rock-based Sharp’s Offshore Pilsner, participants over the age of 18 will receive a free pint at the end of the clean as a great big thanks for their efforts. 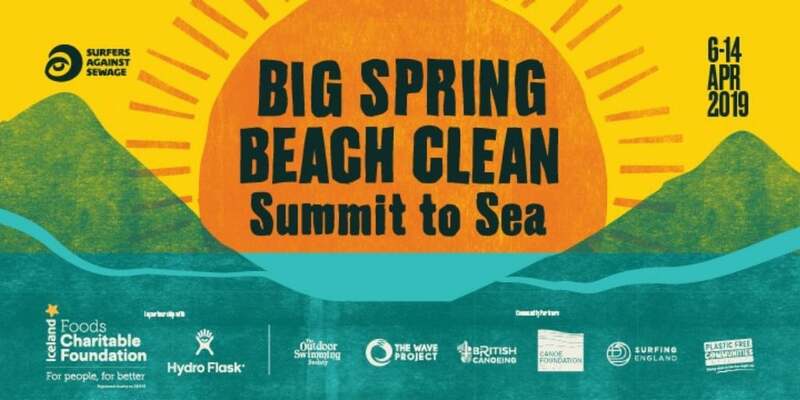 The clean is part of Surfers Against Sewage’s ‘Big Spring Beach Clean’ campaign which is the largest and most effective volunteer beach cleaning project in the UK. Meeting at The Working Boat at 11am, join in as part of the biggest ‘Big Spring Beach Clean’ ever. 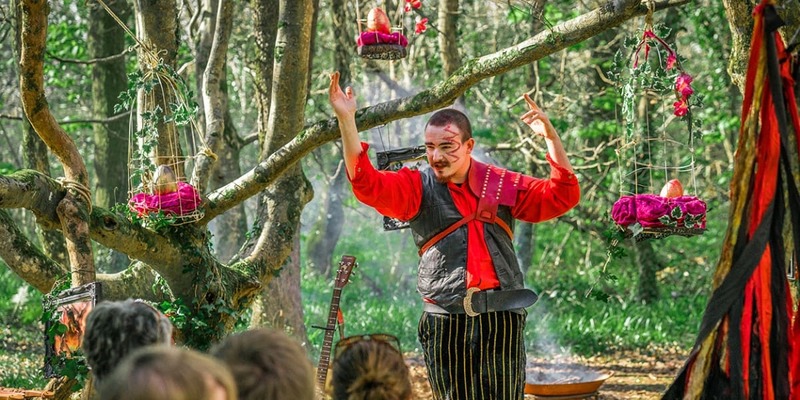 Explore with Rogue Theatre deep in the woods for an immersive trail like no other this Easter. Let your imagination lead you into nature and discover a wild new world, as you collect the clues and follow the hare to the woodland king. Meanwhile, he’ll be waiting at the heart of the woods with more stories and a chocolate Easter treat for everyone! Designed for all the family, this adventure involves exploring the woodland paths, with refreshments stops along the way. 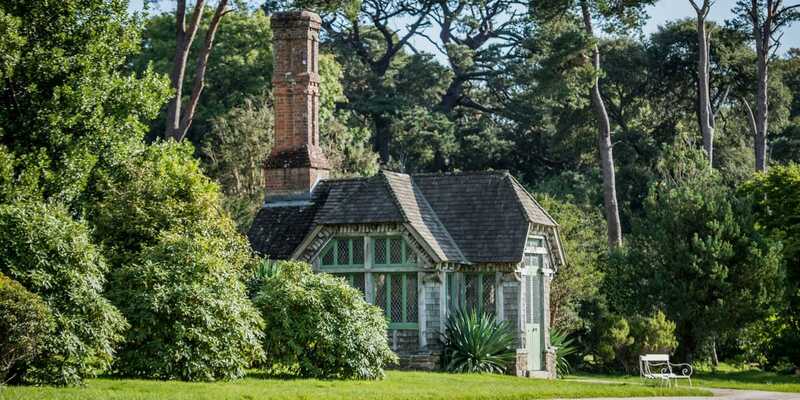 This spring, Tregothnan will be opening their gardens once again for the UK’s largest charity open day. Experience the unequalled diversity of trees, botanical collections, peaceful secluded groves and sweeping vistas of the Fal River. Most noteworthy, all proceeds with be going to the charity iSightcornwall. This is the first resource centre for all in Cornwall and the Isles of Scilly who are affected by sight loss. 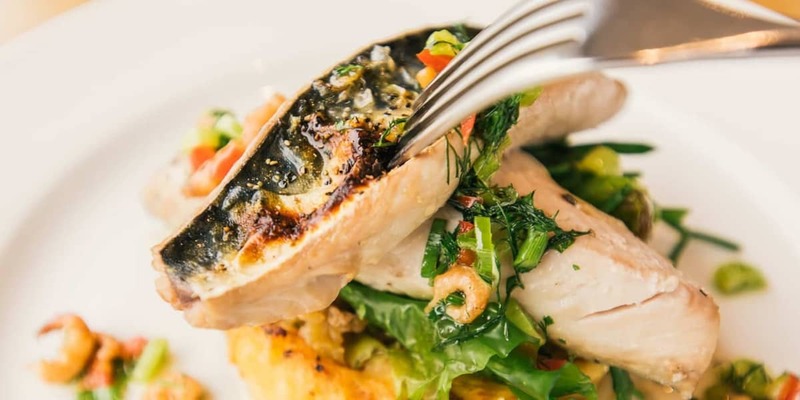 Gaze out across Falmouth harbour this Easter and savour our delicious three course lunch at the Water’s Edge. The Greenbank offers relaxed and affordable fine dining, with ever-changing vistas wherever you sit. The Easter menu will source only the finest local ingredients from farms, fields and the waters directly in front of you. The Roseland Festival is a must for the diary this month. Expect folk and jazz music, choirs, history and art, films and photography. As well as this, there will be walks and talks that will get you in the mood for summer. 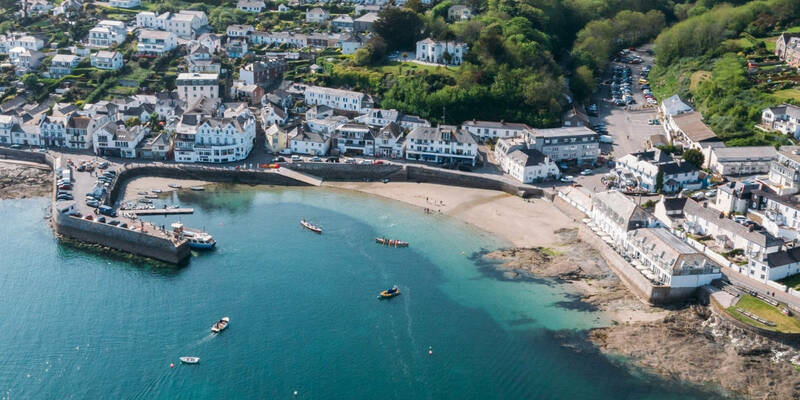 Explore St Mawes on a walk around, get a taste of Cornwall with a wine and spirit tasting session, or immerse yourself in demo talks from artists and musicians alike. A three-day feast of food, drink and music will be held in and around the historic harbour of Porthleven. 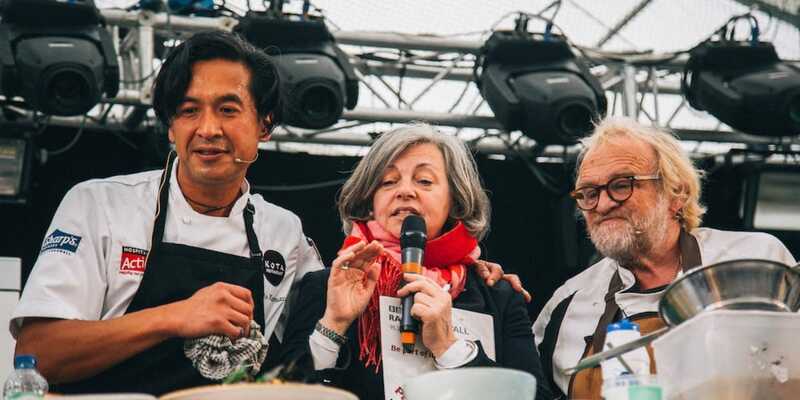 This well-established foodie event brings around 40,000 people together to celebrate. With a chef’s theatre, food stalls, street food and music throughout, expect a festival that will heighten all the senses. You’ll be coming back year after year to this festival. LOOKING FOR AN APRIL GETAWAY?